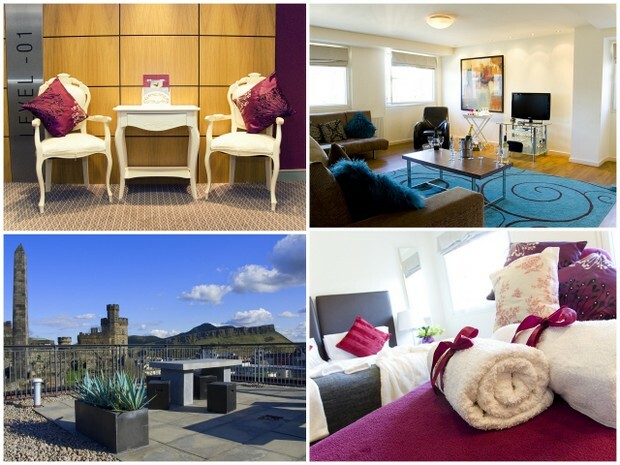 "Edinburgh's best kept secret - a luxurious Sanctuary hidden deep within the Princes Street Suites"
"Spa of the Year Innovation Award - Scottish Hotel Awards 2014"
You do not need to be staying at the Princes Street Suites to enjoy the Sanctorium Beauty spa treatments or pamper days. Located on the lower floor, the soft lighting, delicious scents, Sonos wireless speakers in the lobby and two treatment rooms, fluffy bath robes, Eve Taylor aromatherapy candles, welcome bubbly & nibbles means guests feel immediately relaxed and comfortable. Sanctorium Beauty is owner managed and its policy is that one of the of the owners is always present attending to every detail and client request. Malcolm Gill one of the founders, tells us he loves to make sure his staff are happy; we hear how founder Julie Turnbull, with a background in spas likes to take innovative decisions such as using award winning products by Eve Taylor and Julian Young deals with customer needs, pamper parties and press. The variety of treatments on offer include facials, eye care including eyebrow & eyelash tint & shaping, the shrinking violet wrap, body massages, hot stone massages, exfoliations and wraps, nail care and waxing. Pamper days can also include food from simple nibbles to afternoon tea and cakes or a full on feast complete with in-house chef and cocktails or cocktail master-classes from a highly trained expert.